You have been waiting and here she is: the all new 2020 Toyota Corolla with some of the old corolla staples, and some great new ones. Check below for the latest reviews from our car expert! Since 1974 when it became the most bought name plate in the world, the Toyota Corolla brand has continued to be a top choice for millions. When you are looking for durability, cost savings and dependability, the Toyota Corolla sedan has got it down to a fine art. With 46 million units sold over the years, data shows that about 65 percent of Toyota users who are purchasing Toyota for the first time, go for the Corolla. You can always get great bargains for Toyota cars at Naijauto. This year, we are seeing a re-branded model as the 2020 Toyota Corolla sedan comes on stream. If you have used the 2019 model, and you want a little upgrade, you will definitely want to go for the 2020 Toyota Corolla sedan, which starts at a base price of $20,430. As extras, trim sizes and prices go up, which includes $930 in destination fees, it can get up to $25,000. First, let's confirm the suggested price range of 2020 Toyota Corolla sedans are $19,500 - $25,450. That's between ₦7m and ₦9m. And below are its detailed specifications! Trim Levels L, LE, XLE, SE, XSE. >>> To get the price of any Toyota model in the market, please refer to our comprehensive list of Toyota car prices in Nigeria! 3. What does the 2020 Toyota Corolla sedan look like? If you are expecting something larger for the 2020 Toyota Corolla sedan then you might be a little disappointed. This car comes in a smaller size yet is smarter and superbly more mature. 2020 Toyota Corolla sedan has a modest external architecture. It appears shorter, smaller, slightly sportier but more stylish in look, standing at about 56 inches. Also it comes in popular colors. Its aggressive sport front is lower and also wider with a honeycomb grille that give a confident look. 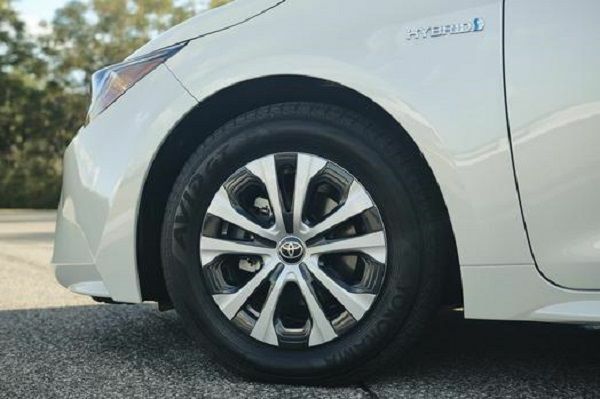 The wheel and tire is a 15-inches to 18-inches, machined alloy wheel/tire, which seems to be the biggest that has been offered for Corolla brands. These wheels will certainly be great tires for Nigerian roads. 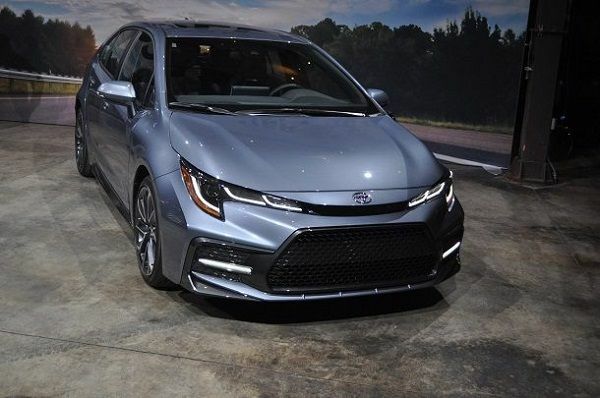 Another notable external feature of the 2020 Corolla is the standard and sharp LED headlights which also have a Led Daytime Running Light (DRL) with enhanced taillights that have an iconic look. It has an automatic high beam that increases visibility at night and activates itself when you are above 25 mph. It also has a pre-collision system that helps detect pedestrian motion. This pedestrian detection helps in warning you of an approaching pedestrian to prevent collision day or night. The system also integrates audio and visual alerts for this. 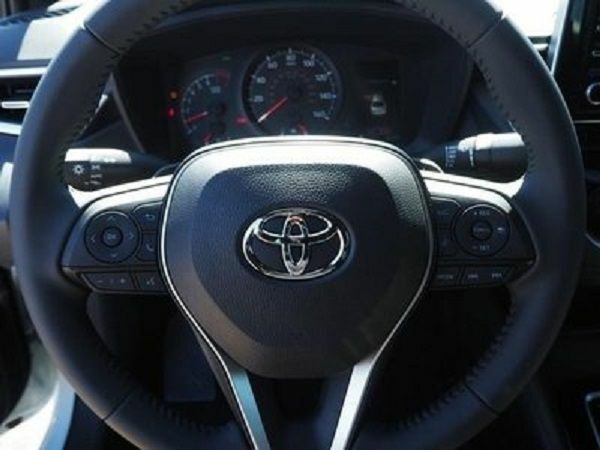 According to Toyota, if you fail to brake in time as a pedestrian comes in sight, it ‘may’ automatically apply the brakes and thus prevent an accident. The 2020 Corolla also has Road Sign Assist (RSA). Using a ‘forward facing intelligent camera' the Corolla Road Sign Assist helps you to detect road signs such as stop signs, speed limits signs and others. Though, it's not in doubt that every Toyota brand has a classic interior, and the 2020 Toyota Corolla sedan is no exception, where the level has been taken to masterpiece proportions- within reason. For the price you pay, you should expect an interior decor that is branded with classic leather work that is well crafted throughout the cabin. 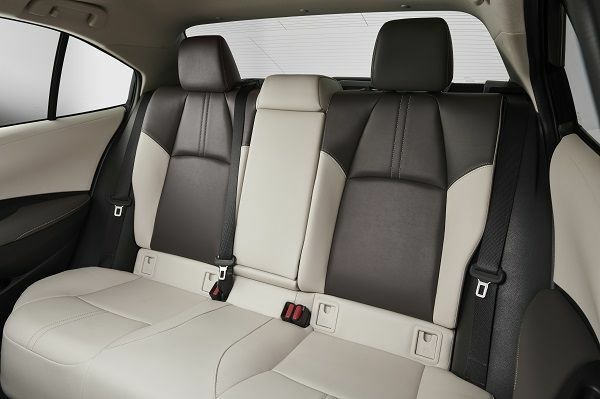 The spectacular interior and its sporty yet comfortable seats are placed in a way that is comfortable. The steering wheel has a fine leather placement for a firm hold. If you love to have a moon-roof, then be sure to get it in the 2020 Corolla. The automobile has a leathered moon-roof you may need for free airflow when you feel like having a change in your driving experience. For your safety, the 2020 Corolla has 8 airbags to help you remain safe. It has front seat, side-mounted side bags, the front and rear side curtain airbags, and the driver keen and stay cushion airbags, all for the safety of the driver and passengers. 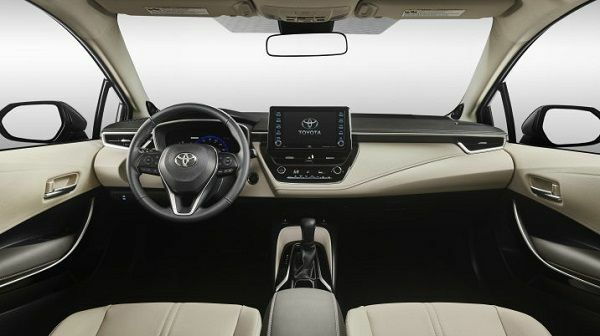 With the Toyota smart car tech, you get to have a smart drive with Standard Apple Carplay with Amazon Alexa capability, a standard audio system with an available 7-8-inches touch screen display, a blind spot monitor, and also remote connection. 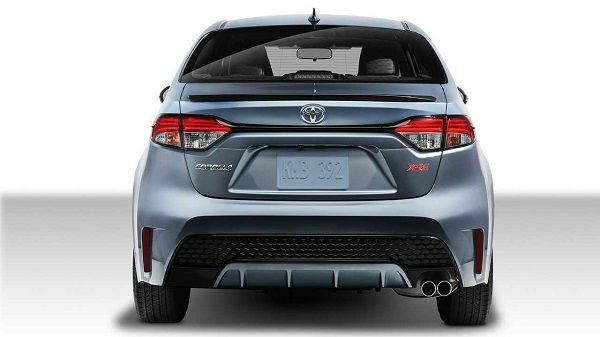 For a pleasant driving experience, the 2020 Corolla has a 1.8L inline 4 cylinder engine. This produces up to 132 horsepower and 128 lb-ft of torque. 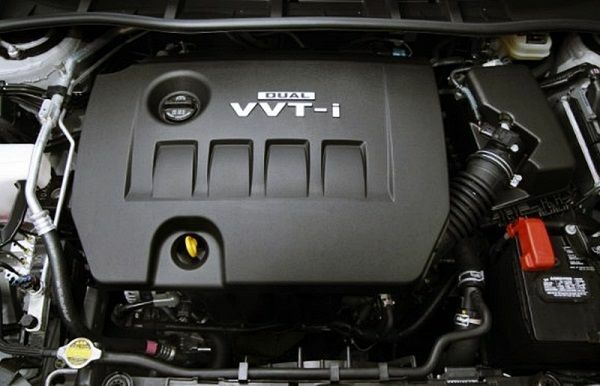 An upgraded engine is available, depending on the model you want to purchase. 4. Which 2020 Toyota Corolla should I buy? This basic comes with anything but basic features, extras, and gizmos. Bluetooth connectivity, safety sense 2.0, 7-inch touchscreen, back up camera, and of course 15 inches steel wheels. For this price, you can have a Corolla with a 16 inches steel wheels, keyless entry, 8-inch touchscreen infotainment system, and auto climate control. Apart from the CarPlay and Bluetooth audio streaming, rear center armrest, and this model also has a fold-down rear seat. Goes for the price of $24,880, if you have $4000 extra, then you can get this model. Apart from the basic Corolla features, the model has a 139-horsepower inline-4 and a CVT for smooth ride. Factor in higher grade LED lights, pollen filters in the climate control system, TFT display, heated windows, and leather steering that is really comfortable. It also has a 7-inch touchscreen infotainment with CarPlay and Audio plus. 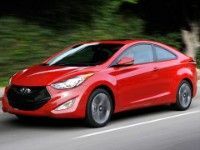 In addition to the above features, $22,880 gets you a 2.0L engine, 18 inches wheels, safety sense 2.0 with adaptive cruise control, 4.2 color TFT display, and sport driving mode. This lord of the manor comes at the cost of $26,380. Add all the features of the SE, and then factor in SofTex trimmed heated front sport seats with sport fabric inserts and 7-inch TFT. The price of this single trim model begins at $23,880. 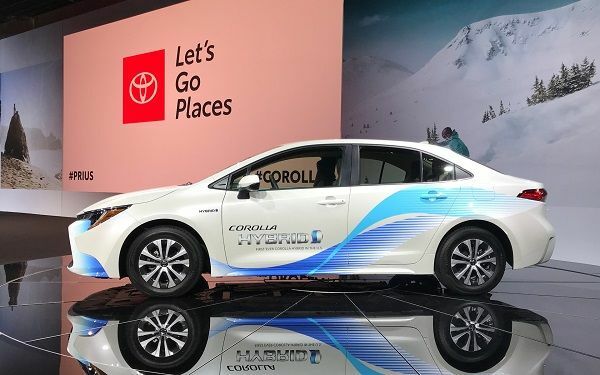 The 2020 Toyota Corolla LE Hybrid assures you of that fuel economy you are craving for. Though the 2020 Toyota Corolla XLE may have this same feature of fuel management but it's nothing to compare with that of LE Hybrid. It has 15-inches wheel and has its batteries tucked beneath the rear seat, so no trunk space is wasted. It has few other features like the 2020 Toyota Corolla LE but only differs in gas. If you're not a fan of the latest car release, you may want to check out the price list of Toyota Corolla sedan other model years.